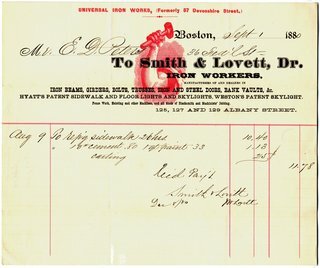 1882 Invoice to Boston & Providence R.R. 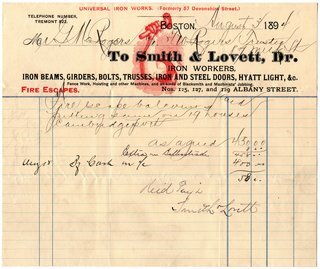 1827 Lovett moves to Boston, learns iron trade with Safford. ???? New partner Lowe, style changed to Safford & Lowe. 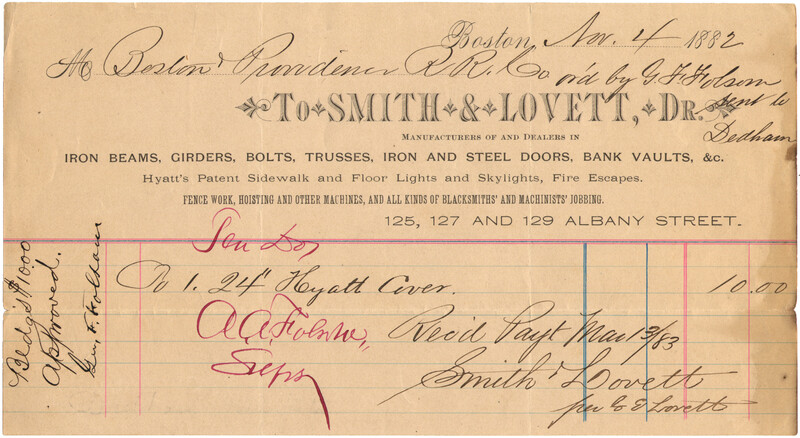 1840 Lovett becomes member, style not changed. 1845 Safford, R.I.P. 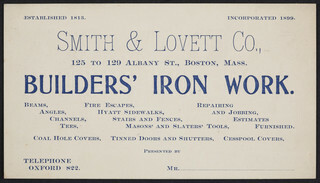 Lovett and Smith continue operating, style changed to Smith & Lovett. 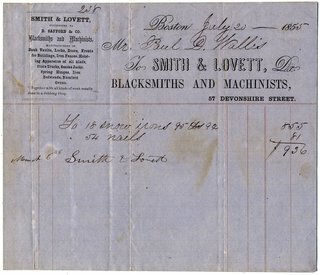 1855 Smith retires; his nephew Ammi Smith is new member. 1876 Ammi, R.I.P. 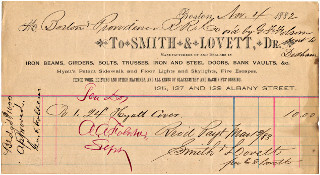 Lovett continues operating under old style. ???? What happened during these years? 1939 Dissolved per 1939 MA legislative act —Chap. 0399 An Act dissolving certain corporations. 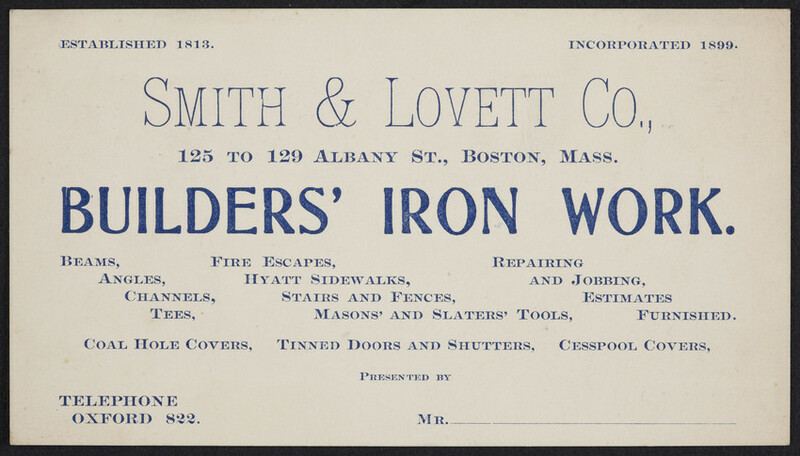 "UNIVERSAL IRON WORKS. (Formerly 57 Devonshire Street.)" 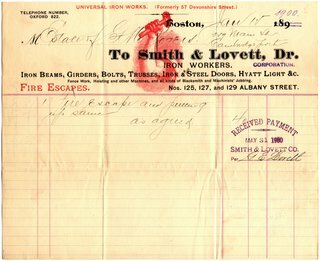 "SUCCESSORS TO D. SAFFORD & CO."